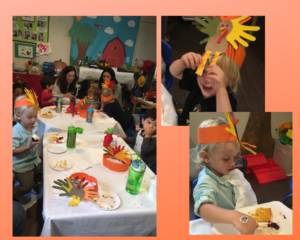 Last week we celebrated Thanksgiving! We had a Thanksgiving feast with a potluck. Children and their parents brought special food from home. 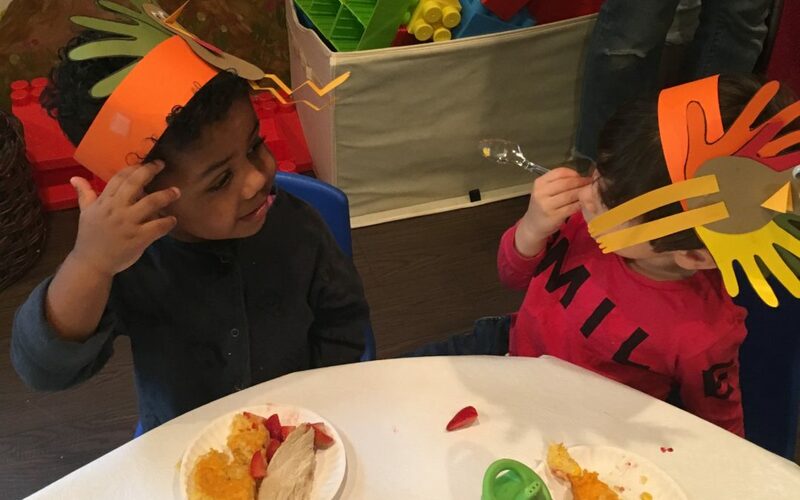 We wore our turkey hats and celebrated together; it was a wonderful community building activity. The children also made handprint turkeys and enjoyed our fall sensory table with Indian corn, acorns, seeds, “bumpy” and “smooth” gourds and some of our farm animals. Children, parents, and caregivers all had a great time! Happy Thanksgiving!